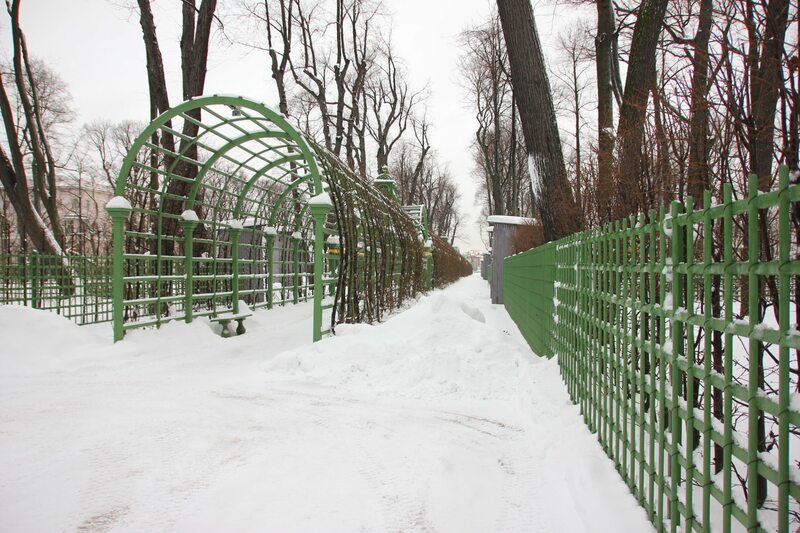 In April, the garden is closed. The entrances close half an hour before Garden closing time. 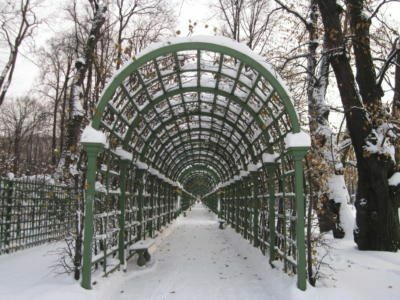 During high winds the Garden is closed. 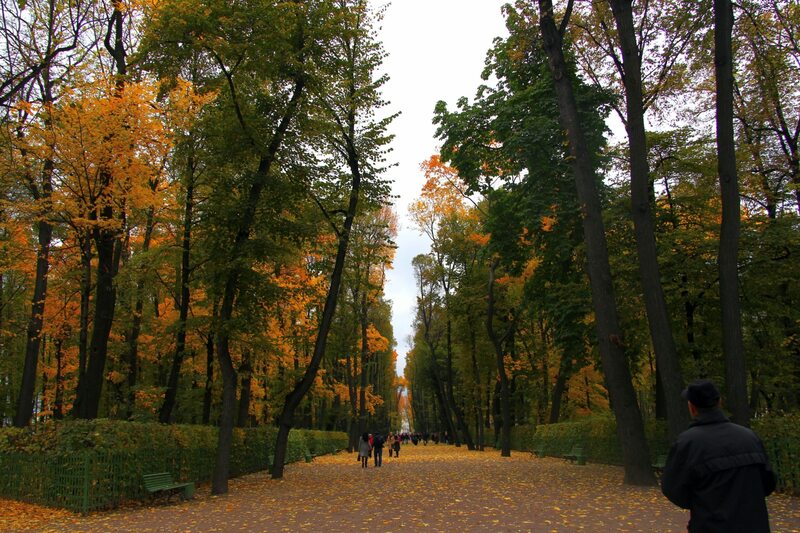 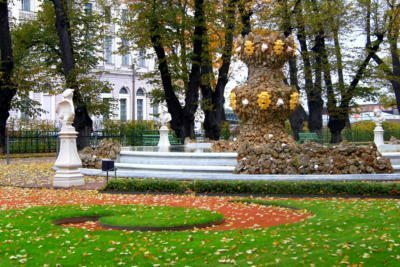 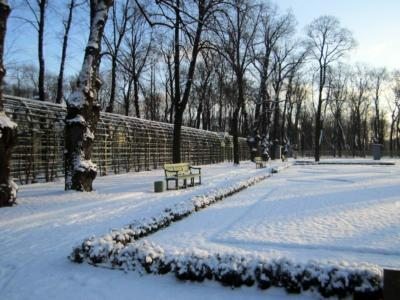 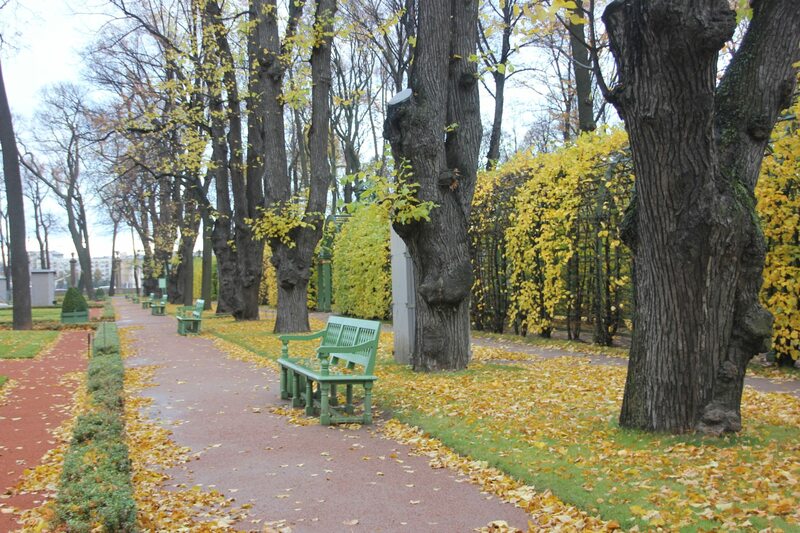 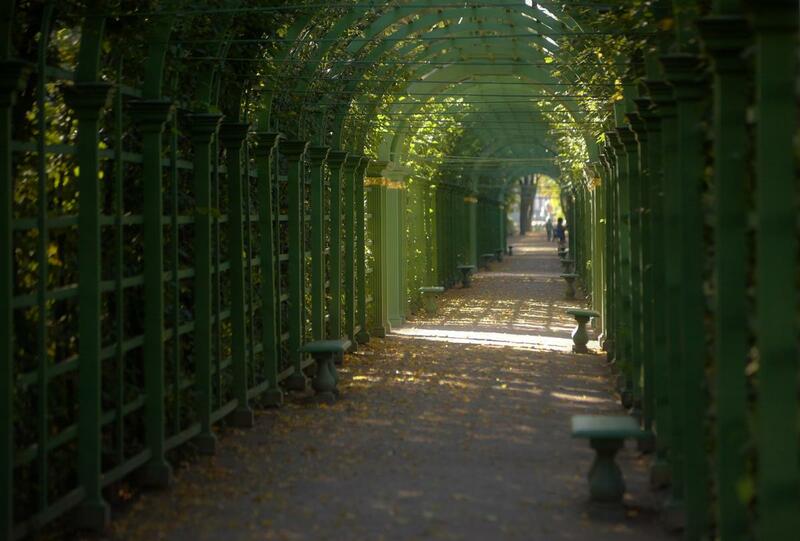 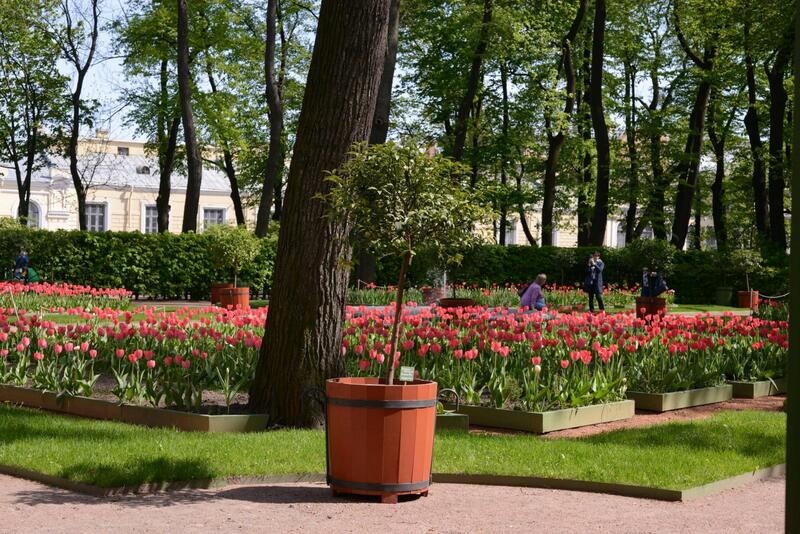 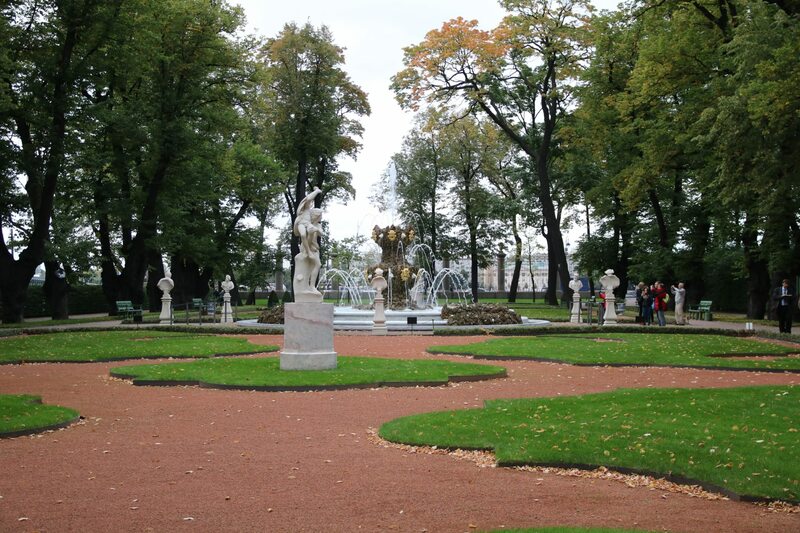 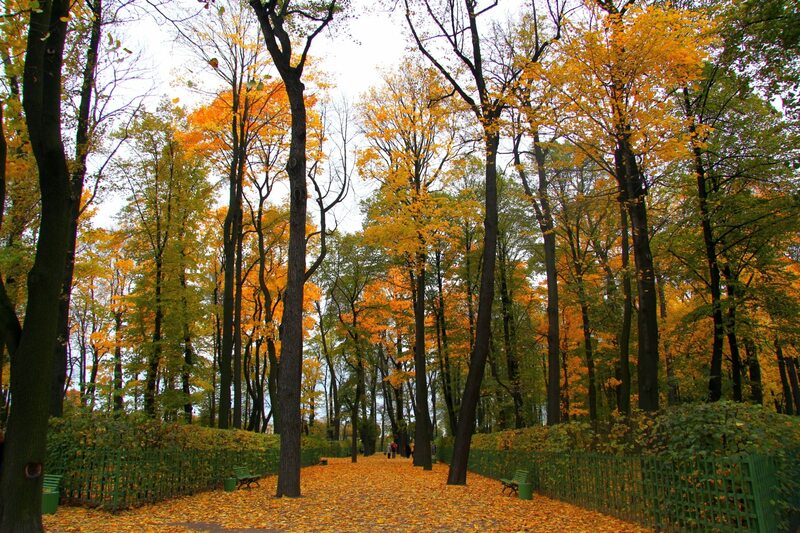 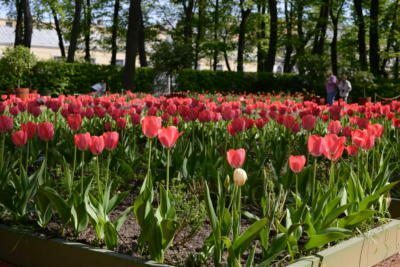 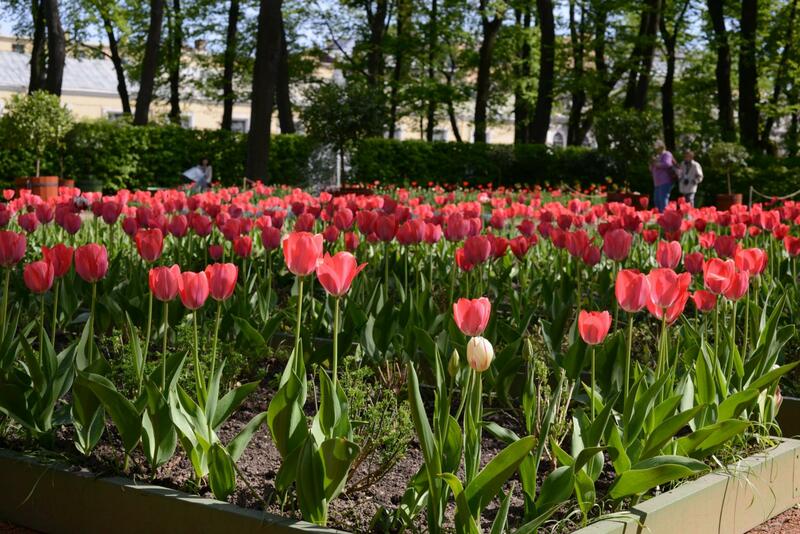 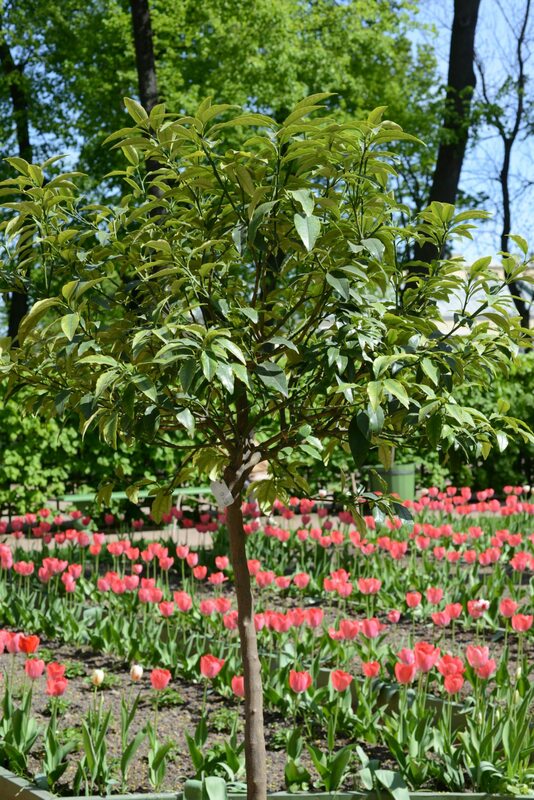 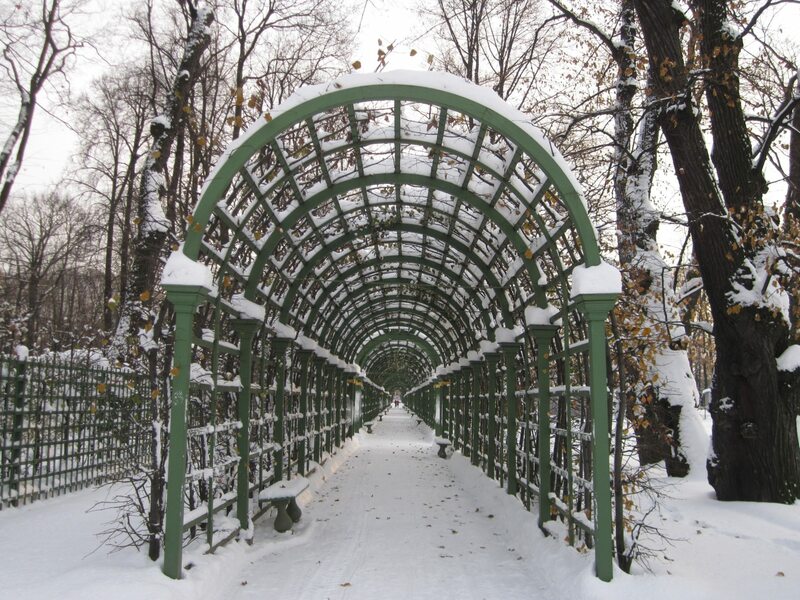 The Summer Garden is the oldest garden in St Petersburg. The summer residence of Peter the Great was founded in 1704 on the site of the former Swedish mansion. 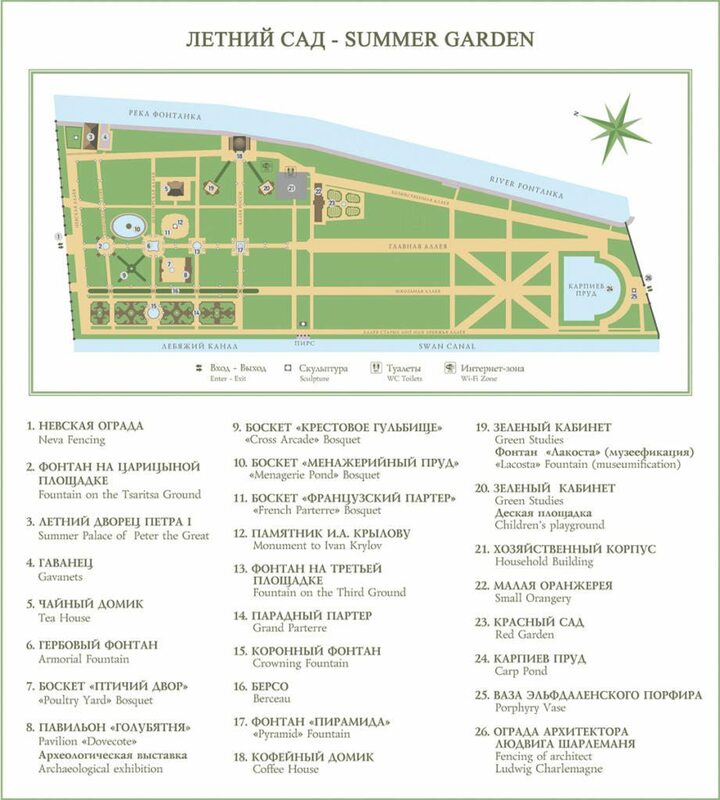 The layout of the garden formed in the 1710s. 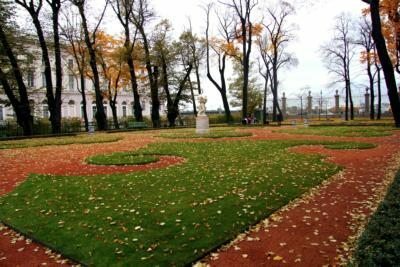 The three main paths were laid out from the Neva into the heart of the garden, while the rest intersected them to form a rectangular network. The Italian marble sculptures from the original collection of Peter the Great were placed in the closest to the Neva part of the garden known as the First Summer Garden. 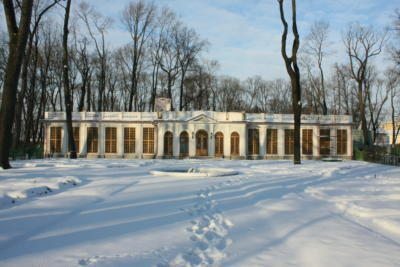 It was there where most of the entertainment facilities were located and the surviving till now Summer Palace of Peter I constructed in 1710 – 1712 by the architect Domenico Trezzini. The southern part of the garden included some administrative buildings, a kitchen-garden, greenhouses and groups of fruit trees. 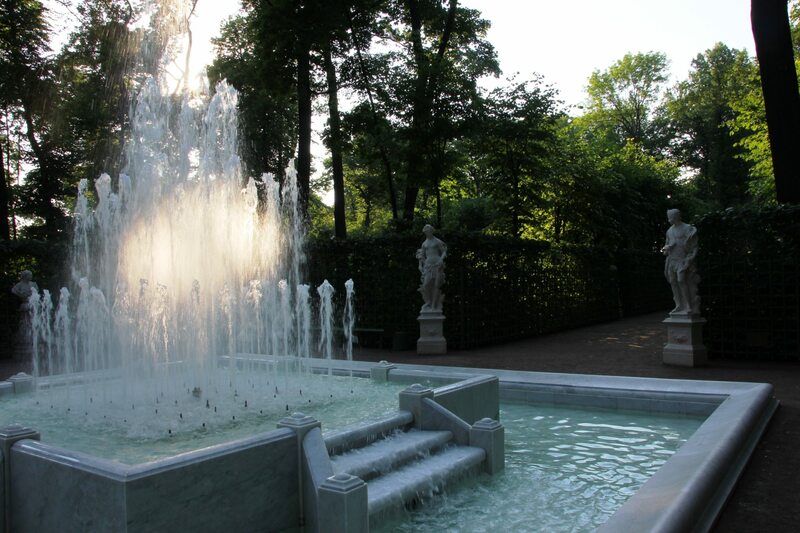 In the central part of the First Summer Garden there were four bosquets (areas defined by clipped walls of shrubs). 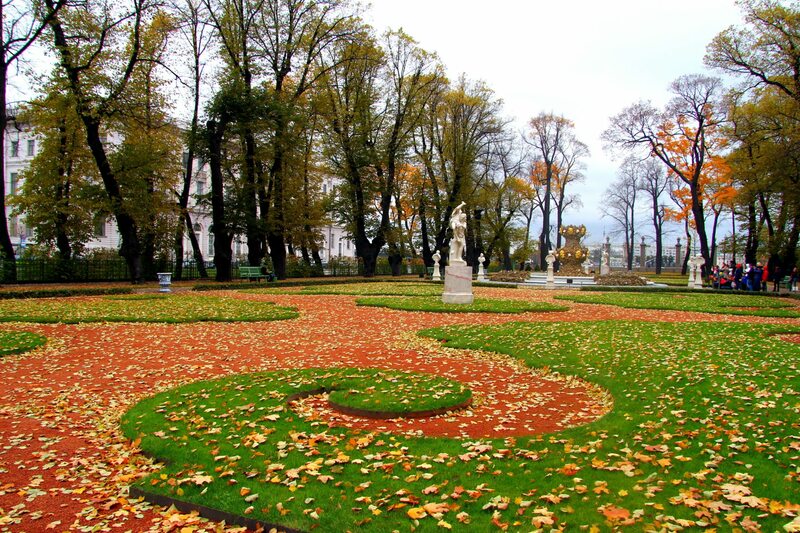 А flower parterre was laid out along the Swan Canal. 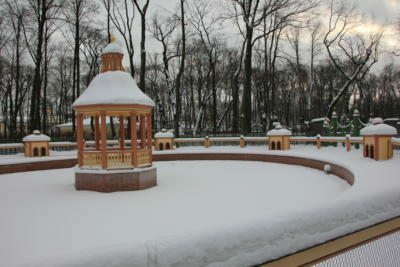 The Carp Pond in the southern part of the garden has been preserved to the present days. 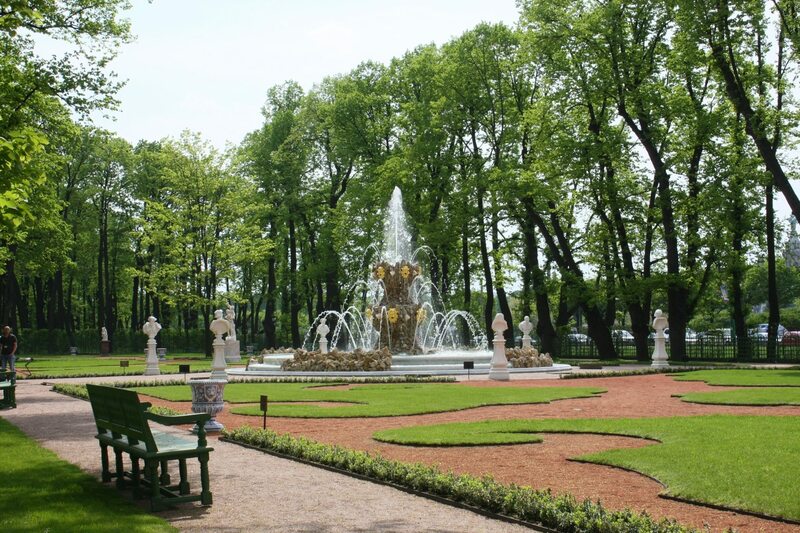 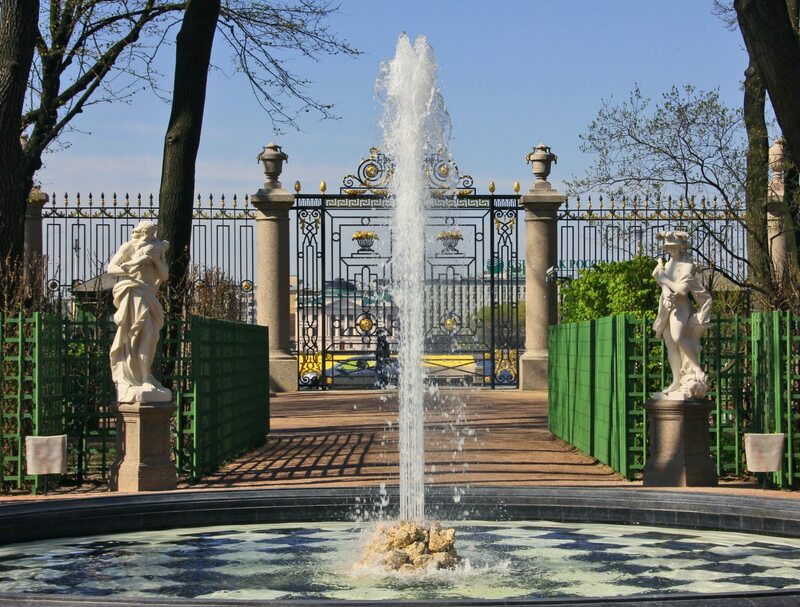 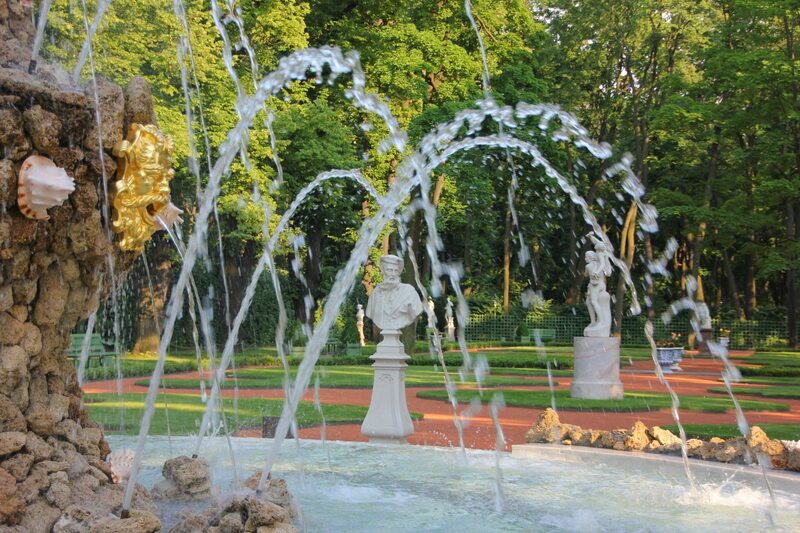 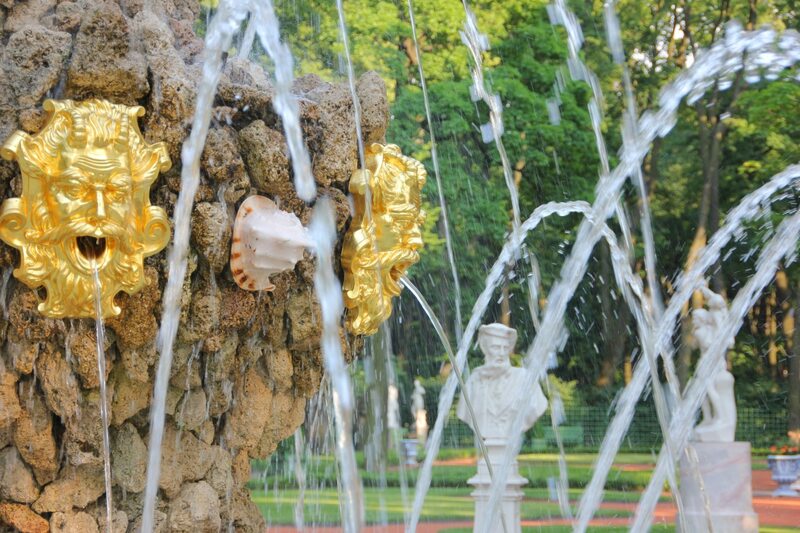 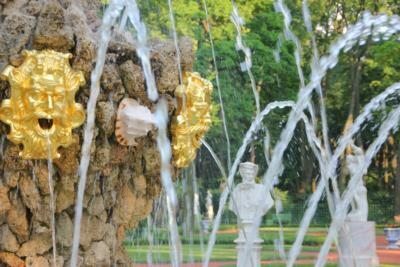 Numerous fountains were installed in the Summer Garden by the order of Peter I who had a great liking for watery amusements. The fountains were built on the sites of the Central Alley, in the bosquets and the Green Studies, in the centre of the Carp Pond. 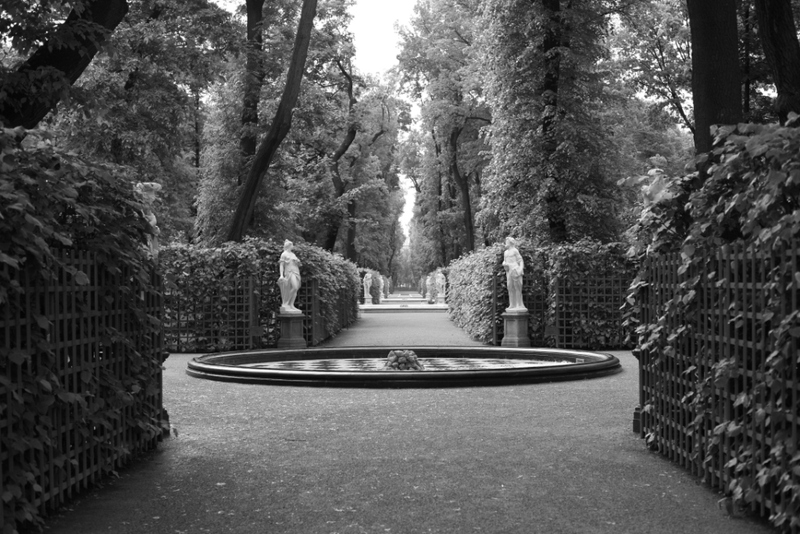 In the southern part of the Summer Garden, there was a Labyrinth of numerous paths and areas surrounded with cut grass. 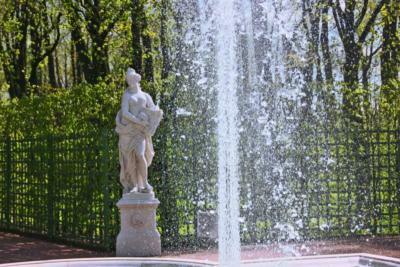 The fountain was decorated with figures on the subjects of Aesop’s fables. 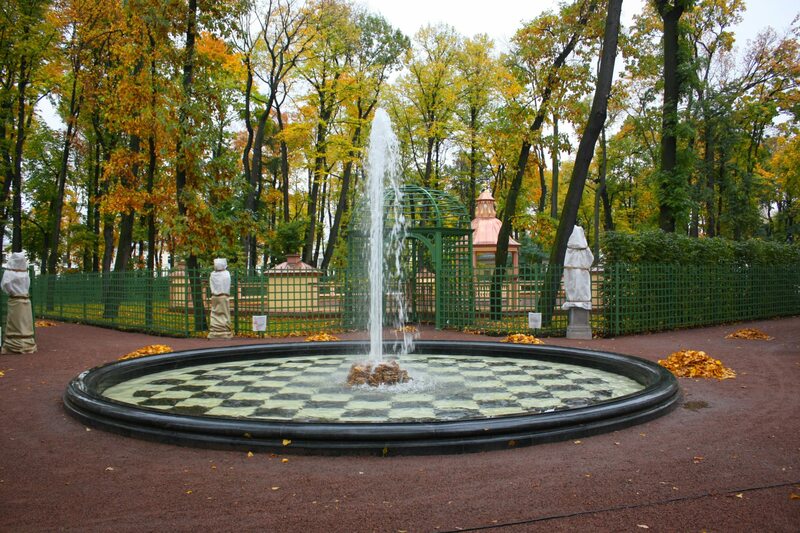 The Labyrinth and Aesop’s fountain were ruined during the flood in 1777. 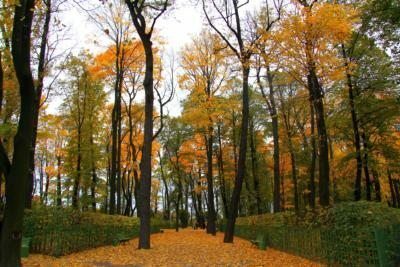 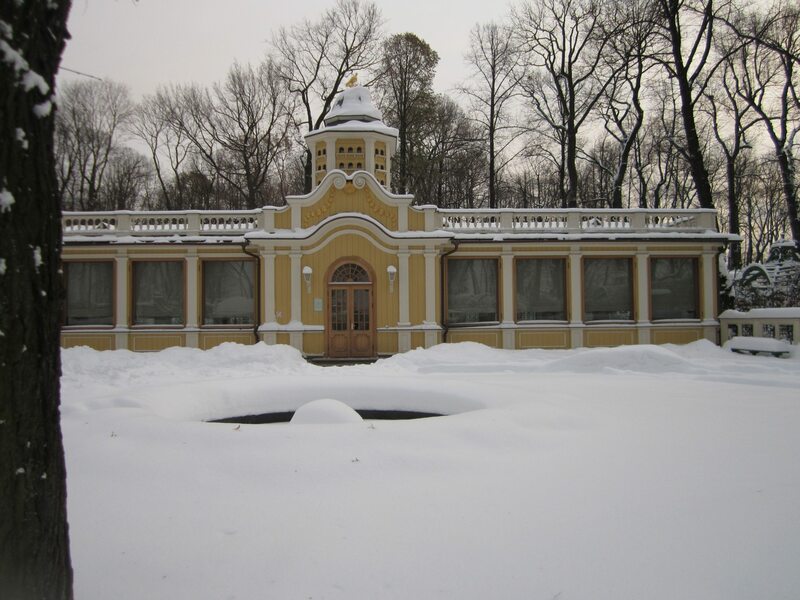 In the 18th century alongside the Summer Palace there were some other constructions in the garden: galleries along the Neva, the Grotto along the Fontanka, greenhouses inside the garden, auxiliary and administrative premises adjoining the Summer Palace. 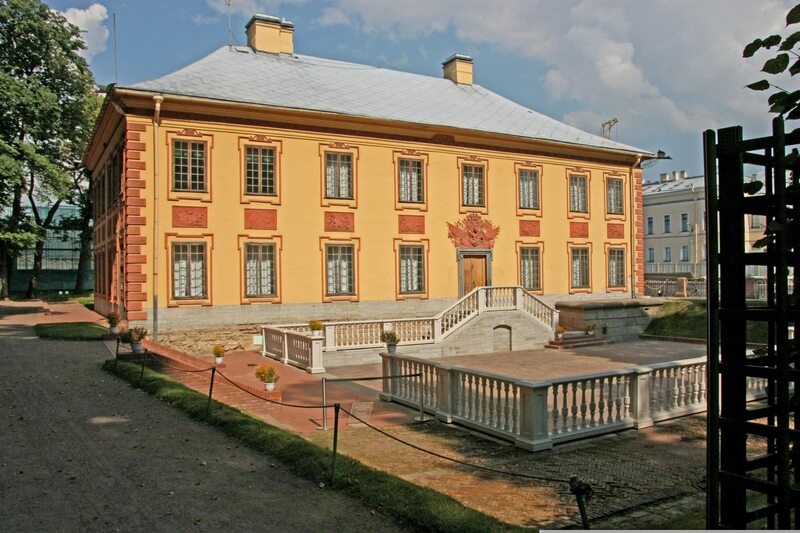 The palace for Catherine I was built on the bank of the Neva in the 1720s. In 1732, during the reign of Anna Ioannovna (1730 – 1740), the Summer Palace for the new empress was built by the architect Francesco Bartolomeo Rastrelli (both of the buildings have not been preserved). 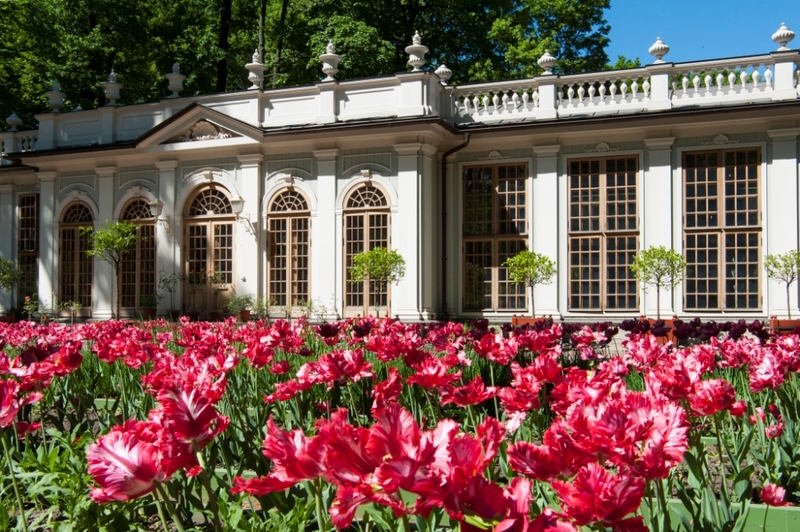 Unfortunately, a disastrous flood in 1777 wrecked the garden. Most of the structures and fountains of the Summer Garden were destroyed by the hurricane wind. The second half of the 18th century was marked not only by losses but by some significant acquisitions as well. 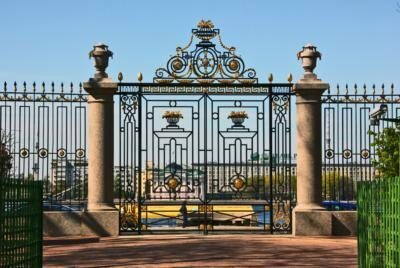 The grand design of the Neva embankment got finally completed, and the territory of the garden was separated from the road with an elegant railing created by Georg Friedrich Veldten and Pyotr Egorov (the railing has been preserved). 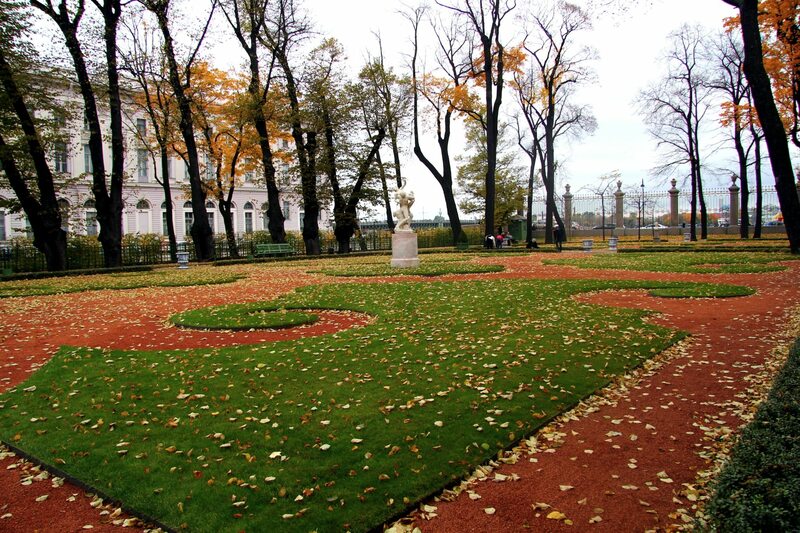 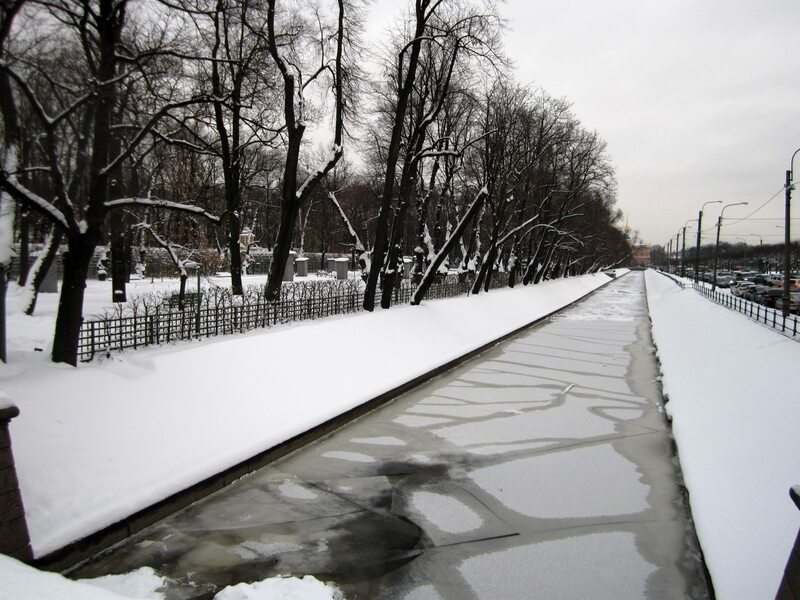 In 1824, the Neva again burst its banks flooding the garden. 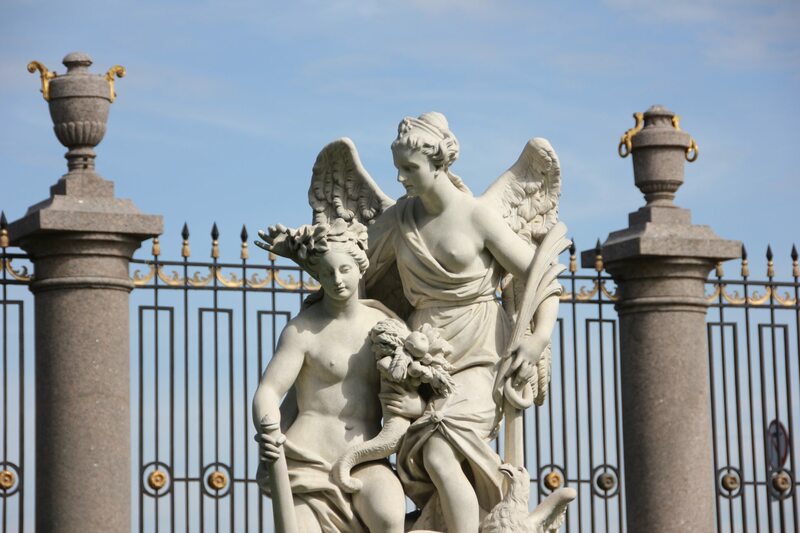 Its restoration took around three years. 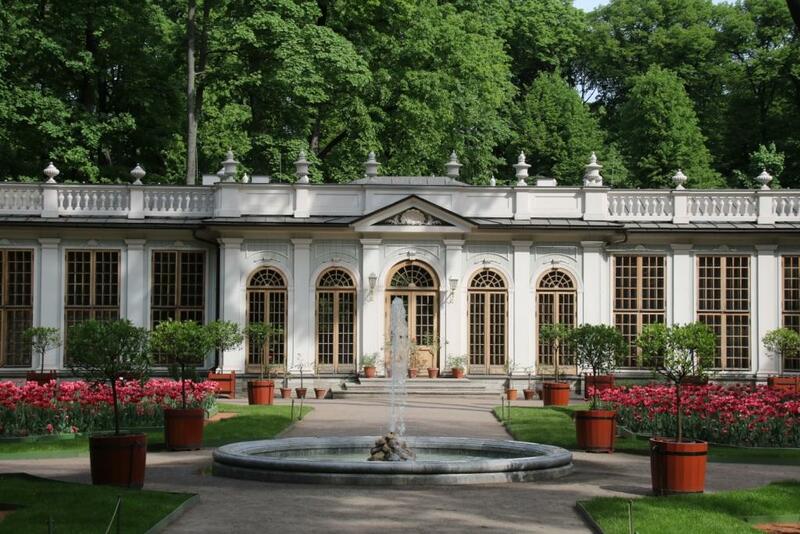 The old layout was preserved but later, in 1826, the architect Carlo Rossi reconstructed the “old Grotto” turning it into the garden pavilion – the Coffee House (it has been preserved). It was also the period when a number of new structures appeared in the garden to the design of Ludwig Charlemagne – Baudet: the Tea House wooden pavilion (it has been preserved) and the iron railing in the southern part of the garden (it has been preserved). 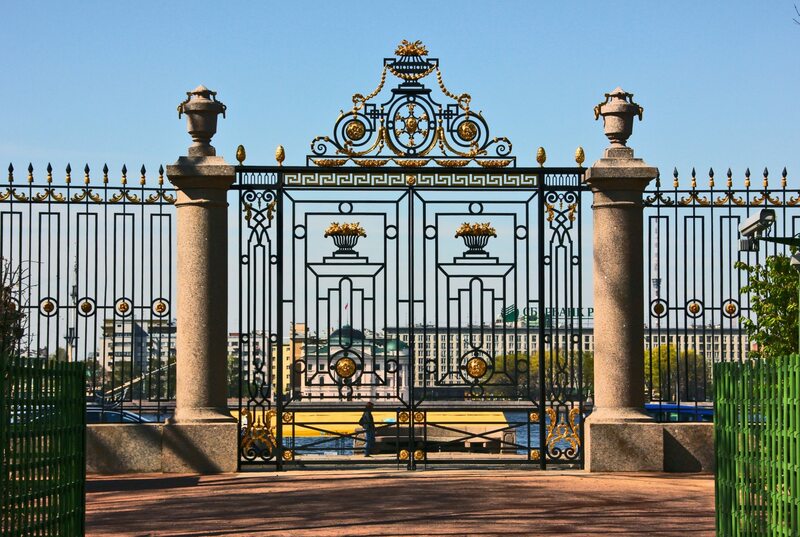 The fan-shaped structures flanking the Neva railing were added by Ludwig Charlemagne -Baudet in 1830. 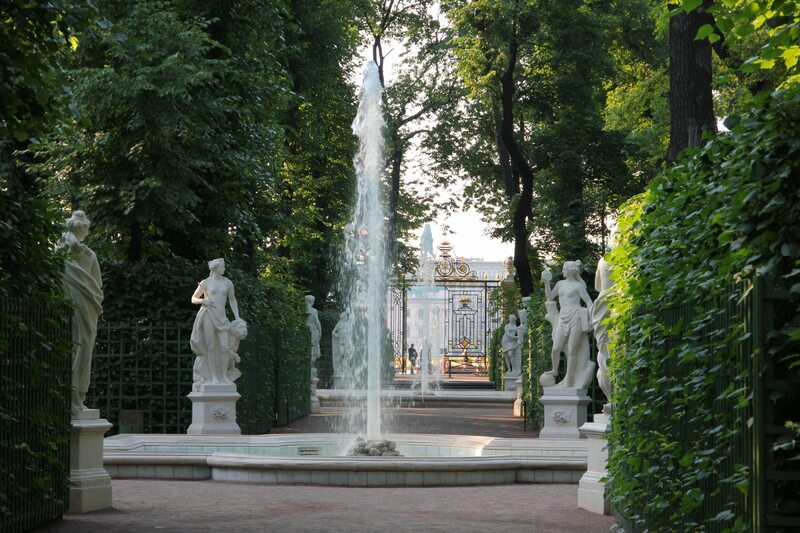 During the 19th century the Summer Garden was the favourite strolling-place for various walks of society. 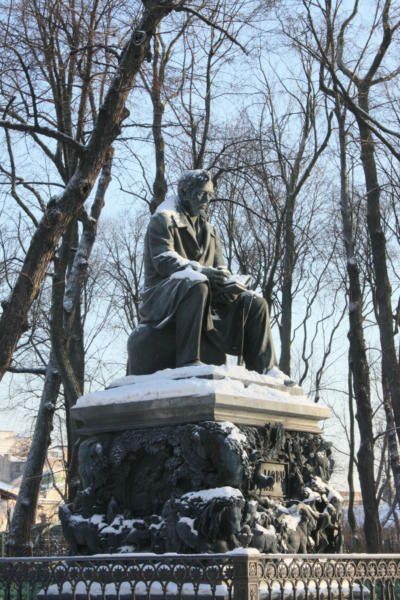 In 1855, the monument to Ivan Krylov (it has been preserved) was mounted on one of the sites of the garden (former French bosquet). 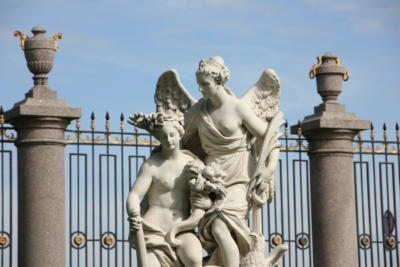 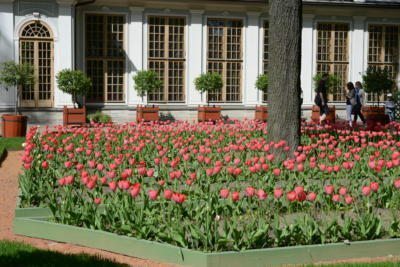 In 1934, the Summer Garden with its collection of marble sculpture, the Summer Palace of Peter the Great and the Summer House of Peter the Great received the status of a museum. 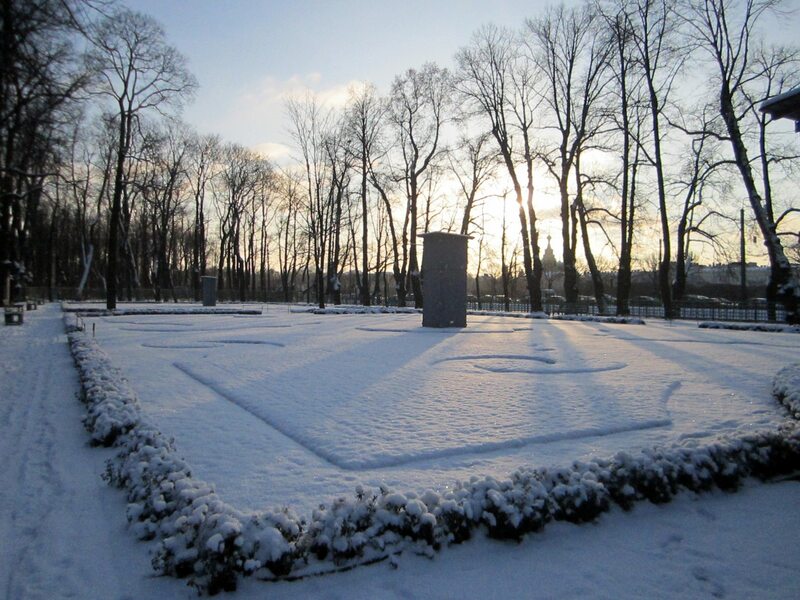 Studying of the monument and its collections began. 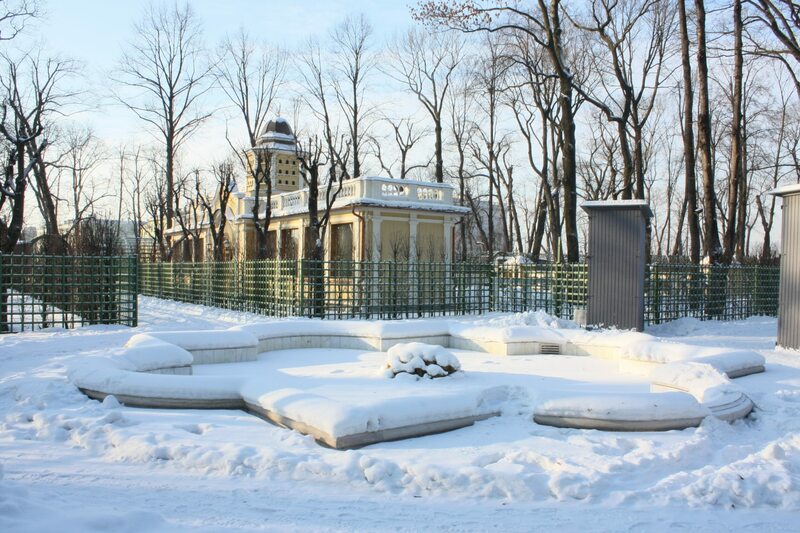 For the first time ever its restoration project was developed on the basis of historical documents by the landscape architect Tatyana Dubyago, but World War II interrupted the ensemble’s development. In spite of the war damage the collection of sculpture has been preserved and not a single tree was cut down in the Summer Garden even during the siege. 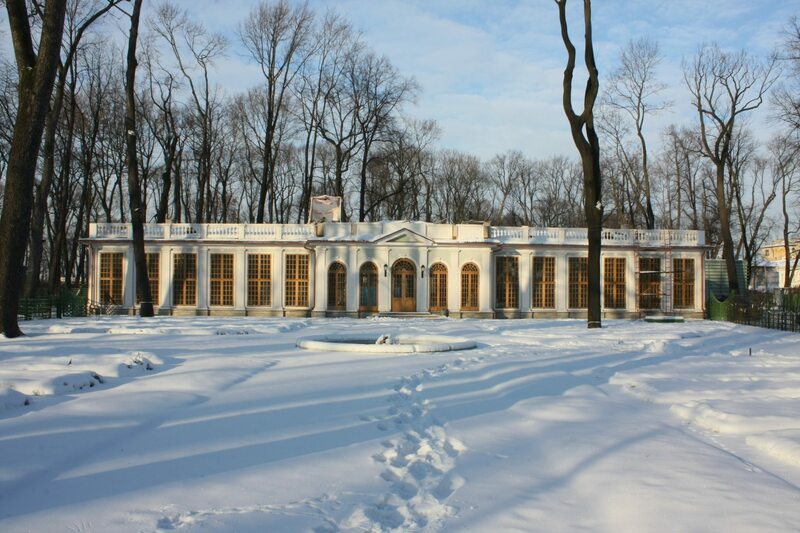 The Summer Palace was repaired and welcomed its first visitors in 1947. 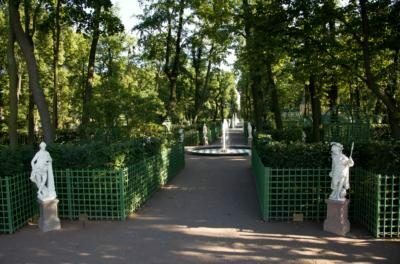 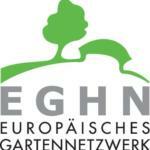 In the late 1990s, the development of the draft project of restoration of the Summer Garden began. 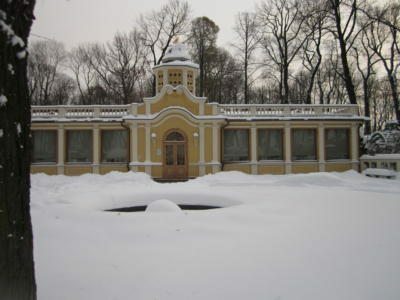 In 2004, the Russian Museum was awarded the administration of the entire complex of the Summer Garden, the Summer Palace and the Summer House of Peter of Great. 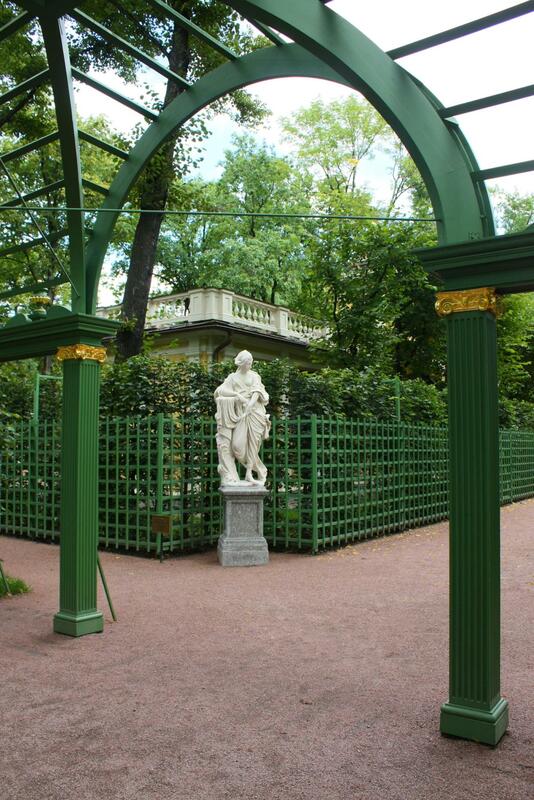 Since 2006 the programme of the restoration project has been resumed in the Summer Garden. 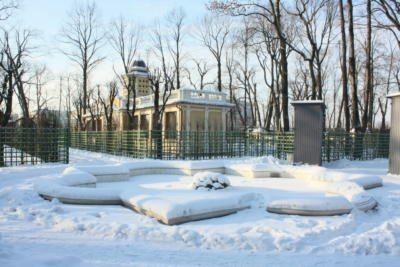 The project was considered during sittings of the Academic Council, the Academic Expert Council for Cultural Heritage Preservation, Government of St Petersburg. 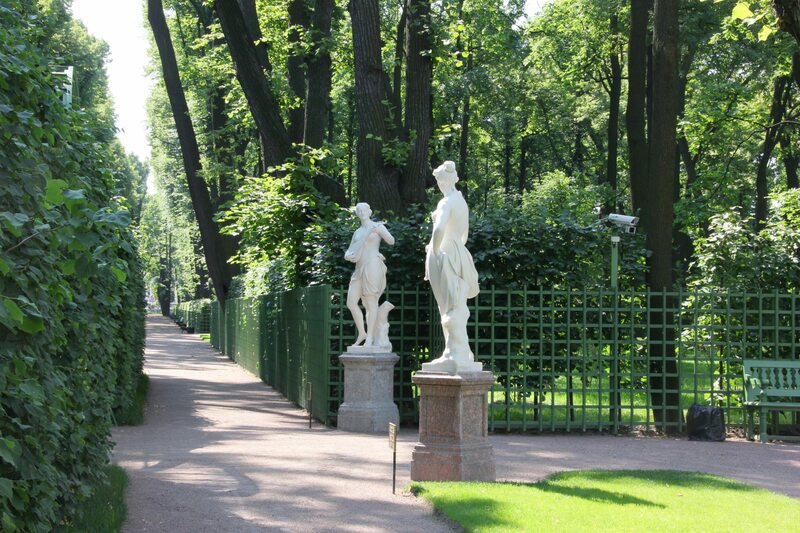 The advice of the Board of the Ministry of Culture of the Russian Federation was taken into consideration. 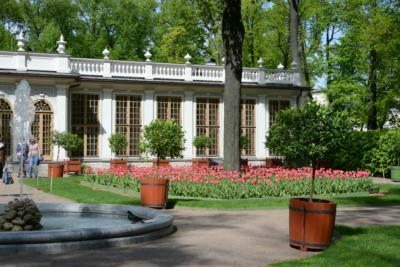 Following the project, the original layout suggested by Peter the Great was left intact; four bosquets were recreated as well as Small Greenhouse, Red Garden, the fountains of the Central alley and high trellises forming a background for marble sculptures. 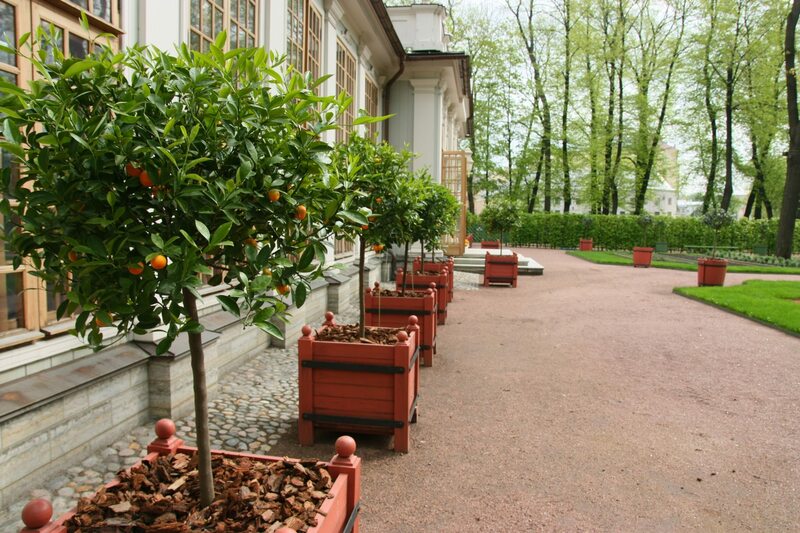 In June 2009, the Building Company “Profil” in collaboration with the St Petersburg Institute “Lenproektrestavratsia” supervising the project launched its realization. 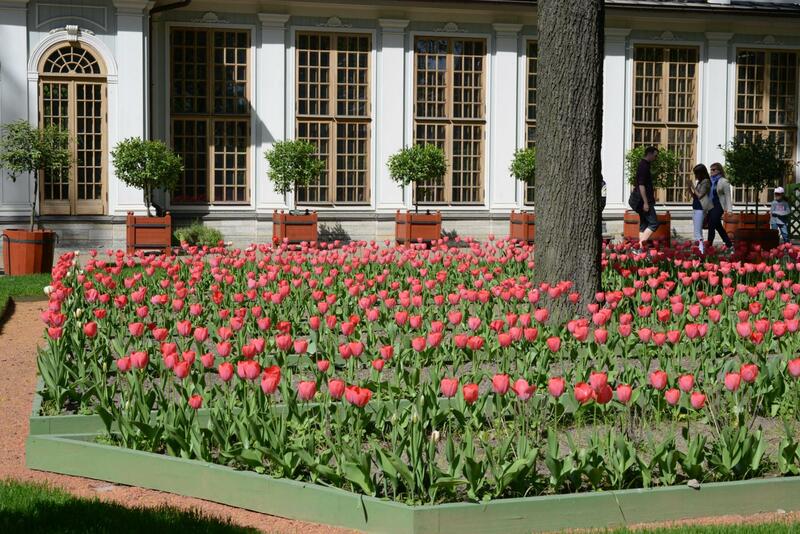 From May 2012, the garden is open to visitors. 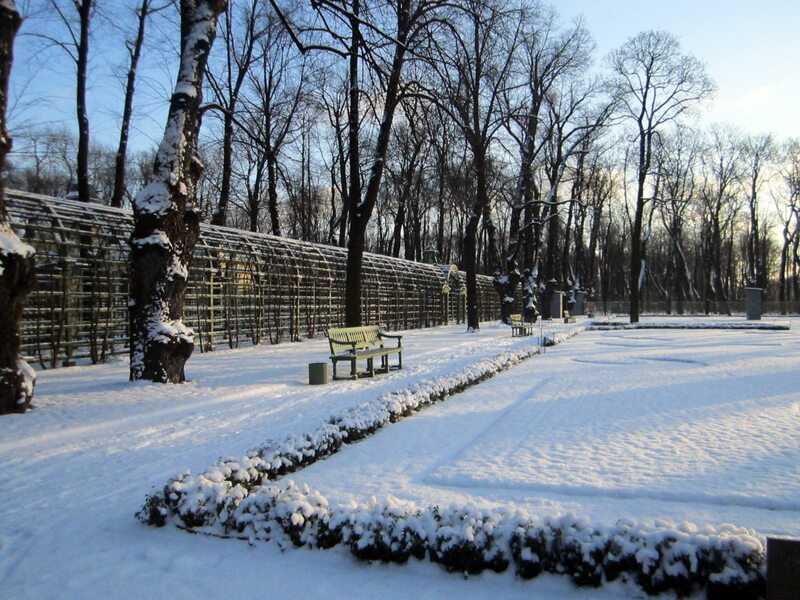 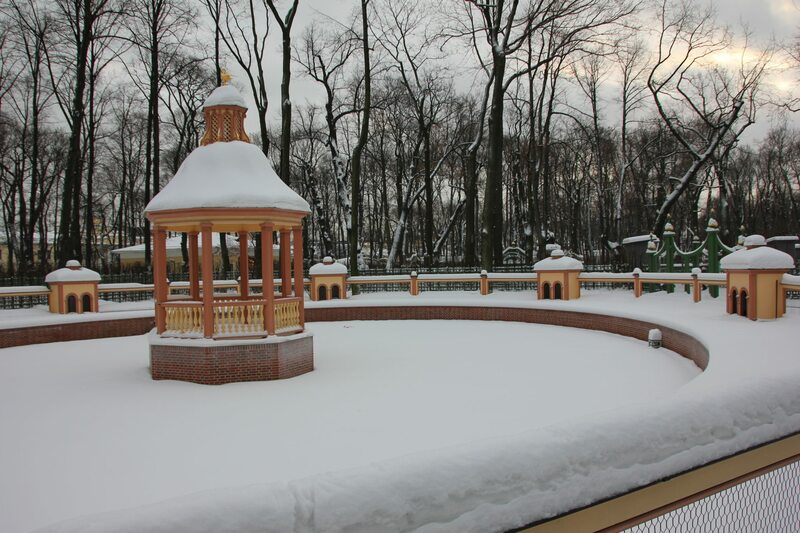 In April, our gardens are closed. 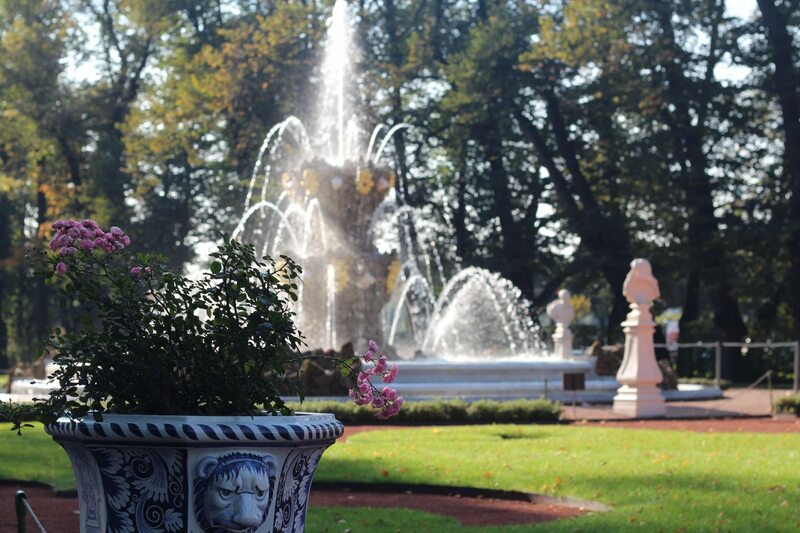 On Tuesdays the Summer Garden is closed for the planning and preventive care of garden and fountain complex. 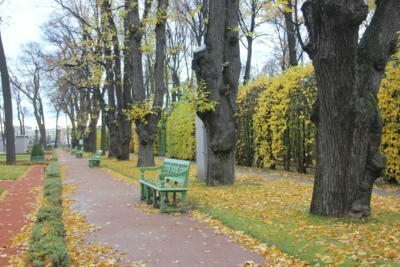 During high winds gardens are closed. 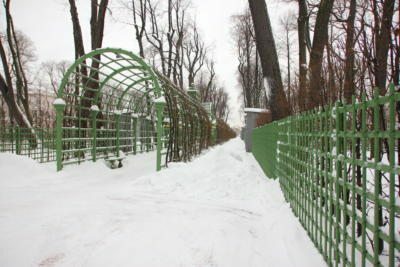 (Русский) С ДНЕМ КОСМОНАВТИКИ, ДРУЗЬЯ !